Question: What nuts are in Rocky Road ice cream? 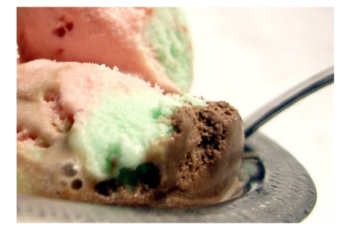 Answer: The main ingredients in Rocky Road ice cream are chocolate ice cream, marshmallows, and nuts. The original nuts in Rocky Road ice cream were walnuts. It is believed that William Dreyer, the famous creator Dreyer’s/Edy’s ice cream, borrowed his wife’s sewing scissors to chop up pieces of walnuts and marshmallows into chocolate ice cream to create the first version of Rocky Road. However, it wasn’t officially called Rocky Road until later when the walnuts were replaced by almonds. The name was supposedly derived from the hard economic times created by the 1920’s stock market crash. Today, Rocky Road ice cream is commonly made with almonds. Brands like Breyer’s, Baskin-Robbins, Turkey Hill, and Haagen-Dazs make their Rocky Road with almonds. However, there are other variations out there. For example, Blue Blue makes a Rocky Road with a mix of cashews and almonds. Additionally, Schwan’s sells Rocky Road that doesn’t even have almonds but is made with peanuts.